Background: Cell death is the intracellular program of biological events leading to the termination of cell’s life processes. Plant cell death is crucial for plant development as well as immune and defense responses against pathogens. Forms of cell death have been known to include necrosis, apoptosis and autophagy. Ferroptosis, a form of nonapoptotic cell death dependent on iron, was recently discovered in animal cells. Iron is required for lipid peroxide accumulation to trigger ferroptotic cell death. 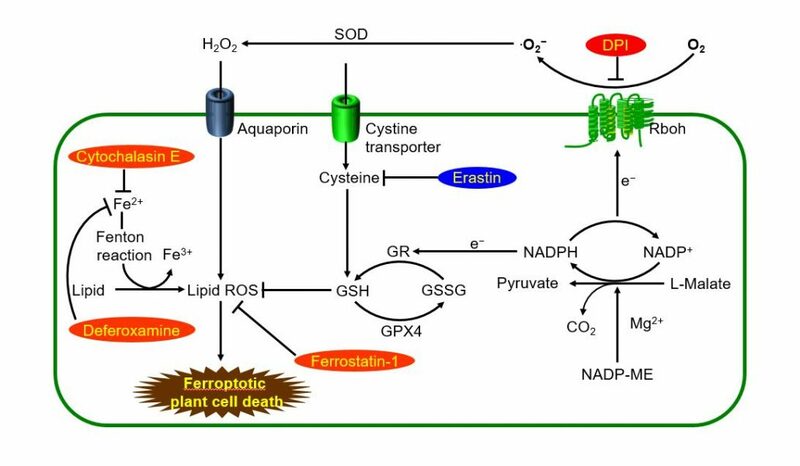 Ferroptosis is characterized by iron-dependent accumulation of lipid-based reactive oxygen species (ROS), particularly lipid hydroperoxides to toxic levels. However, little is known about the ferroptotic cell death in plants. Rice-Magnaporthe oryzae interactions provide a good experimental system to investigate if the iron- and ROS-dependent ferroptotic cell death occurs in plants. Question: We wanted to know if the iron- and ROS-dependent ferroptosis occurs in plants, like animals. Using the rice and blast pathogen system, we cytochemically analyzed the iron- and ROS-dependent signaling cascades in the ferroptotic cell death pathway that occurs in rice cells during avirulent M. oryzae infection. Findings: We found that incompatible rice–Magnaporthe oryzae interactions trigger iron- and ROS-dependent ferroptotic cell death in rice. Iron and ROS (hydrogen peroxide) accumulate at the cell death sites in rice tissues infected with avirulent M. oryzae. Highly reactive Fe2+ reacts with H2O2 to produce Fe3+ and ∙OH, which results in iron-dependent accumulation of toxic lipid ROS. NADP-ME (malic enzyme) and Rboh (NADPH oxidase) are required for ferroptotic cell death in rice. Small-molecule ferroptosis inhibitors deferoxamine, ferrostatin-1 and cytochalasin E, and NADPH oxidase inhibitor diphenyleneiodonium (DPI) suppress iron-dependent ROS accumulation and lipid peroxidation to attenuate cell death in rice infected with avirulent M. oryzae. However, the small-molecule inducer erastin triggers iron-dependent ROS accumulation and glutathione depletion, which ultimately leads to cell death in rice to restrict virulent M. oryzae. 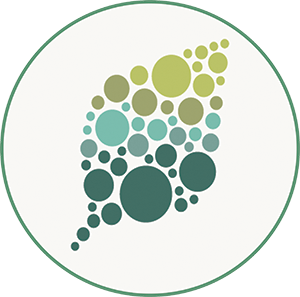 Next steps: It would be interesting to investigate what specific plant genes and cell components are involved in iron- and ROS-dependent ferroptosis in plants, and whether the ferroptotic cell death commonly occurs in other plant-microbe interactions. Further research will also be necessary to determine the molecular and physiological functions of ferroptosis in cellular senescence of plants.